we could talk about computer keyboards and character sets; or musical keyboards, or typewriter keyboards, or process control keyboards, or 'Star Trek' keyboards. A question could be: how many common different English IBM PC keyboard layouts do you know? Or India's keyboard layouts, if you want another link with Kannada or Konkani. It makes no sense. It is awkward, inefficient and confusing. We've been saying that for 124 years. But there it remains. Those keys made their first appearance on a rickety, clumsy device marketed as the "Type-Writer" in 1872. Today the keyboard is a universal fixture even on the most advanced, sophisticated computers and word processors electronic technology can produce. How could we get stuck with something so bad? In this case, the answer lies in the old proverb about the early bird catching the worm. As far as the typewriter keyboard is concerned, being first was the whole ball game. 1878 Typewriter Patent Drawing, featuring the QWERTY Keyboard. Years after its introduction, it was considered important enough to include in a patent. The name "QWERTY" for our typewriter keyboard comes from the first six letters in the top alphabet row (the one just below the numbers). 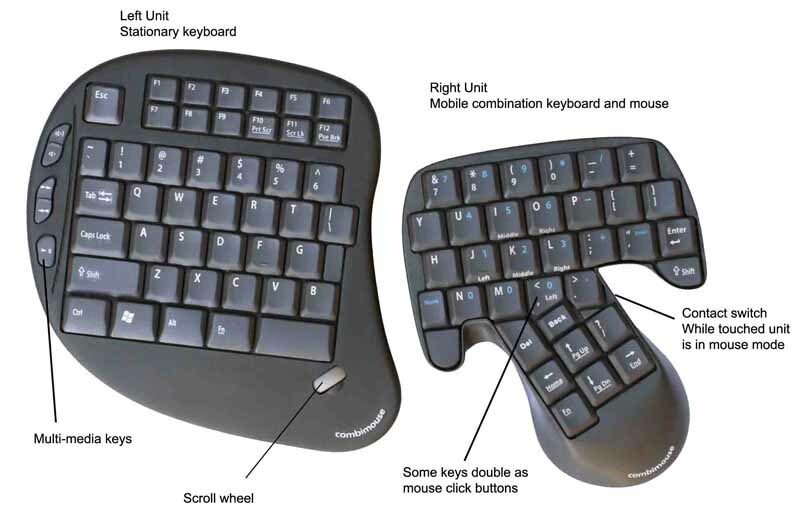 It is also called the "Universal" keyboard for rather obvious reasons. It was the work of inventor C. L. Sholes, who put together the prototypes of the first commercial typewriter in a Milwaukee machine shop back in the 1860's. For years, popular writers have accused Sholes of deliberately arranging his keyboard to slow down fast typists who would otherwise jam up his sluggish machine. In fact, his motives were just the opposite. When Sholes built his first model in 1868, the keys were arranged alphabetically in two rows. At the time, Milwaukee was a backwoods town. The crude machine shop tools available there could hardly produce a finely-honed instrument that worked with precision. Yes, the first typewriter was sluggish. Yes, it did clash and jam when someone tried to type with it. But Sholes was able to figure out a way around the problem simply by rearranging the letters. Looking inside his early machine, we can see how he did it. The first typewriter had its letters on the end of rods called "typebars." The typebars hung in a circle. The roller which held the paper sat over this circle, and when a key was pressed, a typebar would swing up to hit the paper from underneath. If two typebars were near each other in the circle, they would tend to clash into each other when typed in succession. So, Sholes figured he had to take the most common letter pairs such as "TH" and make sure their typebars hung at safe distances. The keyboard arrangement was considered important enough to be included on Sholes' patent granted in 1878 (see drawing), some years after the machine was into production. QWERTY's effect, by reducing those annoying clashes, was to speed up typing rather than slow it down. Sholes and Densmore went to Remington, the arms manufacturer, to have their machines mass-produced. In 1874, the first Type-Writer appeared on the market. No contemporary account complains about the illogical keyboard. In fact, few contemporary accounts even mention the machine at all. At its debut, it was largely ignored. Sales of the typewriter did not take off until after Remington's second model was introduced in 1878, offering the only major modification to the keyboard as we know it today. The first machines typed only capital letters. The new Remington No. 2 offered both upper and lower case by adding the familiar shift key. It is called a shift because it actually caused the carriage to shift in position for printing either of two letters on each typebar. Modern electronic machines no longer shift mechanically when the shift key is pressed, but its name remains the same. In the decades following the original Remington, many alternative keyboards came and went. Then, in 1932, with funds from the Carnegie Foundation, Professor August Dvorak, of Washington State University, set out to develop the ultimate typewriter keyboard once and for all. Dvorak went beyond Blickensderfer in arranging his letters according to frequency. Dvorak's home row uses all five vowels and the five most common consonants: AOEUIDHTNS. With the vowels on one side and consonants on the other, a rough typing rhythm would be established as each hand would tend to alternate. With the Dvorak keyboard, a typist can type about 400 of the English language's most common words without ever leaving the home row. The comparable figure on QWERTY is 100. The home row letters on Dvorak do a total of 70% of the work. On QWERTY they do only 32%. The Dvorak keyboard sounds very good. However, a keyboard need to do more than just "sound" good, and unfortunately, Dvorak has failed to prove itself superior to QWERTY. It appears that many of the studies used to test the effectiveness of Dvorak were flawed. Many were conducted by the good professor himself, creating a conflict of interest question, since he had a financial interest in the venture. A U.S. General Services Administration study of 1953 appears to have been more objective. It found that it really didn't matter what keyboard you used. Good typists type fast, bad typists don't. It's not surprising, then, that Dvorak has failed to take hold. No one wants to take the time and trouble to learn a new keyboard, especially if it isn't convincingly superior to the old. A few computer programs and special-order daisy wheels are available to transform modern typewriters or word processors to the Dvorak keyboard, but the demand for these products is small. After all, expert typists can can do nearly 100 words a minute with QWERTY . Word processors increase that speed significantly. The gains that Dvorak claims to offer aren't really needed. QWERTY's effect, by reducing those annoying clashes, was to speed up typing rather than slow it down. So in other words, or rather, the same words, he wanted to slow down fast typists . . . who would otherwise jam up his sluggish machine. Re fast typists: in the era of the manual typewriter I often had to disentangle the letters when they piled up. 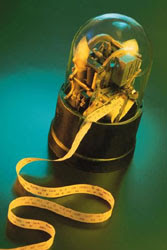 Later on, with the IBM 'golf ball' type machine, I tended to lean back after speedy dictations during court sessions, waiting for the machine to finish the sentence. That must have been interesting to watch! I have a similar effect when my laptop suddenly goes at a snail's pace for awhile, and the letters appear individually after I've typed them. Yes and no. The underlying keyboard remains QWERTY, but there are e.g. AZERTY (Belgique) and QWERTZ (Deutschland) keyboard layouts. So QWERTY isn't universal, assuming a keyboard with keys A-Z. It sure was impressive - nice to see Your Honour look at the machine in complete bafflement. Never had problems with my laptop keyboard, tho. That must have been interesting to watch! Not as such. This case was also a reward for the work, but with computer-generated text it's just boring because the device (maybe 25 CPS, but you'd also notice it with 1200 CPS) is nearly always catching up. If you're producing it, and know what's coming, silence means its output is finally up-to-date. Y o u ' r e n o t w a t c h i n g i t a l l t h e t i m e, a s i f i t ' s a m i r a c l e.
It was. At least for a 60+ year old judge who didn't have a clue what was going on technically. For him it was electrickery. Hmm - that's interesting. When I had a PC I used to use a split keyboard, but I use an Apple one now, which is more standard in shape. I found the split keyboard more comfortable and faster to use for any sustained amount of typing, but it didn't take long to train myself back to the standard layout, and at least they keys require very little pressure on them. I haven't timed myself on this keyboard yet though. Regarding split keyboards, I actually own a few of these collector's items: IBM's butterfly keyboard. WQXGA wasn't invented yet. I still have one of these, wot I built from a kit back in 1975. Note the QWERTY layout, and the built-in macros, which were BASIC words. The operating system and functions were hard-wired in a ROM chip; a closed source which was apparently perfect in every way and could not be updated or upgraded. The operating system and functions were hard-wired in a ROM chip; a closed source which was apparently perfect in every way and could not be updated or upgraded. Emulators, the Revenge of the ZX81. Most likely designing the hardware was far more complicated. Writing a simple operating system and a BASIC interpreter is pretty straightforward. No multitasking, no optimizing, no innovative hardware developments, and so on.